Check out this video. This is the remains of a 1997 Jeep Grand Cherokee after a giant sequoia fell on it in Sequoia National Park. It's a good thing these guys were out hiking when it happened! The video is is an excerpt from a Finley Holiday DVD. Hikers and kayakers come together to celebrate the Appalachian Trail and Cheoah River at the 2009 HiYak Festival taking place at the Fontana Village Resort from April 17 to April 19. There will be live music, educational lectures, geocache events, trail maintenance and more. The event includes trail maintenance programs in conjunction with the Smoky Mountain Hiking Club and the Benton MacKaye Trail Association, river clean up of invasive species, music from great local bands, vendors, lectures, movies, and more. For more information, visit www.fontanavillage.com or phone 828-498-2211. The Appalachian Trail Conservancy (ATC) needs your support, ASAP! The Tennessee legislature recently approved for the creation of a specialty license plate for the Appalachian Trail. Funds produced from the sale of the plate will be shared with the Appalachian Trail Conservancy for the support and management of the Appalachian Trail. In order for the state to produce the license plates, the ATC needs 1000 paid applications as soon as possible. As of March 11, the ATC has only 362 applications. A standard, numerical A.T. license plate will cost $35 and a personalized one will cost $70—in addition to the regular vehicle registration fee. The ATC will receive $15.56 of the fees for each plate produced or renewed. You also get a free one-time annual membership to the ATC. The states of Virginia, Georgia and North Carolina have similar programs as well. Please show your support for the Appalachian Trail by clicking here. 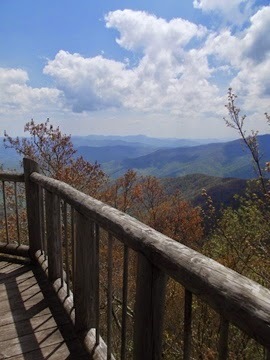 HikingintheSmokys.com is proud to announce the launch of our new cabin and chalet rentals page. Visitors seeking hiking information for trails in the Great Smoky Mountains can now find information for their overnight accommodations on the same website. We are also pleased to announce that three cabin and chalet rental businesses have committed to listing their establishments on our site for the next year. Our new partners are Whisperwind Cabin Rentals, Eden Crest Vacation Rentals, and Moose Creek Crossing. Each of these rental properties provide a variety of overnight options and offer a variety of amenities to help you find the perfect cabin or chalet for any size group. You can find overnight lodging in Townsend, Gatlinburg or Pigeon Forge. We would like to thank each of our new partners and hope that anyone considering a trip to the Great Smoky Mountains takes the time to visit each of their websites to find that perfect cabin or chalet. 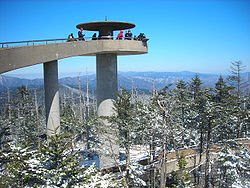 If all goes as planned, Clingmans Dome Road in Great Smoky Mountains National Park will re-open next Wednesday, April 1. Of course the higher elevations in the park can still experience early spring snow storms which could delay the opening. If you're planning on visiting this area of the park during the first couple of weeks in April, it's a good idea to pay a visit to the park's website to make sure there are no temporary closures. The opening of Clingmans Dome Road opens up access for trails such as the Sugarland Mountain Trail, Fork Ridge Trail, Spruce-Fir Trail, Noland Divide and Andrews Bald. Just last week, local author Danny Bernstein published her latest hiking guide, Hiking North Carolina’s Blue Ridge Heritage. As you may recall, Ms. Bernstein is also the author of Hiking the Carolina Mountains, which she published in 2007. In her latest book, Danny covers 66 of the best hikes in the Blue Ridge National Heritage Area, an area which roughly encompasses the triangle from Pilot Mountain State Park to the Great Smoky Mountains National Park and down to Highlands on the Georgia border. In addition to being a hiking guide, Hiking North Carolina’s Blue Ridge Heritage provides historical anecdotes that help to deepen a hiker's understanding of the region. From Stone Mountain's roots of moonshining and NASCAR, to following the path of the Overmountain Men during the Revolutionary War, to the mystery of Rumbling Bald, used as the basis for Jules Verne's 1904 novel, Master of the World, nearly every hike has its own story to tell. All of the hikes lie within the Blue Ridge National Heritage Area, a designation signed into law by Congress in 2003. 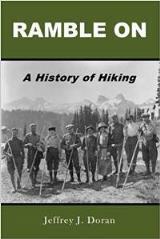 Each hike includes clear maps, complete directions, hiking distance, trail highlights, elevation gain, related books and movies, photos, and much more. You can join Ms. Bernstein at the official launch of her new book on Tuesday, April 7 at Diamond Brand Outdoors in Arden, NC. She will be presenting a slide show program and Earth Fare will be providing refreshments. For every book sold that evening, Diamond Brand outdoors will donate 50% of the proceeds to the Trails Forever program, which benefits the maintenance and improvement of trails in Great Smoky Mountains National Park. Additionally, Diamond Brand Outdoors will offer a $20 gift card for anyone that registers to become a member of Friends of the Smokies at the book launch event. By the way, Ms. Bernstein recently became a member of the 900 Miler Club, reserved only for those people that have hiked all the trails in the Great Smoky Mountains. A very significant accomplishment. Congratulations! As part of the year-long celebration of the 75th anniversary of Great Smoky Mountains National Park, the Fontana Dam Village Resort will be sponsoring Spring Hike Week from April 19 thru April 23. Spring Hike Week is a celebration of the scenic splendor of the Great Smoky Mountains and the rich cultural heritage of the region. Many hikes will take place in the southwestern area of the park, including hikes to Twenty Mile Ranger Station, Hazel Creek, Eagle Creek and as far south as the Tsali Recreation area on Fontana Lake. Seminars and hikes are also planned around nature conservancy; preservation of burial grounds in the communities of Proctor, Fairview and Cable Cove (communities that were displaced when the construction of Fontana Dam flooded the Little Tennessee River Valley). There will also be Bluegrass concerts and cookouts at Fontana Village throughout the week. All hiking events and seminars are free of charge. Do Air Horns make for good bear deterrents? About a week ago I was reading some information with regards to the pros and cons of hiking alone in the wilderness. One person participating in the discussion mentioned that he carries an air horn in case he ever runs into a bear on the trail. Never hearing anyone else make a similar suggestion, I just assumed that it probably wasn’t a good idea. However, upon reading that posting in the forum, I proceeded to do a little research on the internet. I immediately found one person who claims to have successfully used an air horn to scare a bear away. This was from a personal website, so I wasn’t about to put my life on the line based on one website claim. However, the New Jersey Division of Fish and Wildlife did recommend using air horns while hiking to scare aggressive bears away. Furthermore, according to an article in the Alaska Star, wildlife managers in Banff, Canada and Eugene, OR also use air horns to scare urban or problem bears away. I found a few other examples of wildlife mangers suggesting that air horns are an effective deterrent to aggressive bears as well. Just out of curiosity, do any of you know of anyone that has successfully used an air horn during a bear encounter anywhere? Have you ever heard a so called bear expert recommend that hikers should use air horns as a deterrent? Roughly 30 ridgerunners are hired by the Appalachian Trail Conservancy (ATC) each season to hike and camp along sections of the Appalachian Trail. Their job is to report on trail conditions, water availability, shelter closings, bear activity and spread important news related to hiker safety, effective food storage in bear country and Leave No Trace practices. Up until this year, the timely information they collected was only made available to the ATC and its management partners. Beginning this week, however, the ATC will be providing downloadable audio files, or podcasts, summarizing ridgerunner reports so that AT hikers can plan their hikes using the most current information available. These podcasts will be about 5 minutes in length and will be updated every two weeks during the peak hiking period between March and October. Along with a detailed summary of the ridgerunner information, these podcasts will contain special features like interviews and Appalachian Trail trivia. To check out the first podcast of the year, please click here. Gear manufacturer Mountain Hardwear has launched a brand new website called The Expedition Republic, which is essentially a social networking site for adventurers, explorers, climbers, mountaineers, or any type of outdoor enthusiast. In addition to being a pretty slick outdoor community site, the website already has lots of great videos and photographs. Members have the opportunity to submit their own videos and pictures, publish blogs and participate in forums. Members also have the opportunity to join groups. Since this website is brand new, I went ahead and created the very first group on this page. Naturally it’s called “Hiking in the Smoky Mountains.” I set this up for anyone who enjoys hiking in the Great Smoky Mountains. This group can be used to discuss recent hiking adventures, trail conditions, hiking suggestions, upcoming events and news impacting hikers. 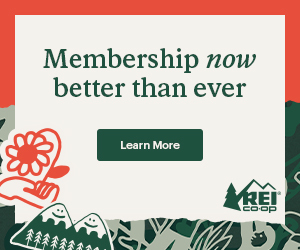 Hopefully all of you hikers and adventurers out there will become members. Looks to be a great place for like minded people to socialize. If you do join, make sure to click on the group page and join my group! The Great Smoky Mountains National Park website just announced that Parson Branch Road in Cades Cove will be closed until late spring due to storm damage. In that same area, Forge Creek Road has been closed due to storm damage back in December. This road is scheduled to re-open in mid-March according to the Park website. These road closings impact access to the Gregory Bald and the Gregory Ridge trailheads. Several events are scheduled for the 75th Anniversary Weekend in celebration of the 75th Anniversary of the establishment of Great Smoky Mountains National Park. Throughout the weekend, from June 13 through June 15, the Smith Family will be performing at the Smith Family Theatre. Prior to each show, a video clip of President Roosevelt dedicating the park will be shown. On June 13, a special performance will be given by the Knoxville Symphony Orchestra in Cades Cove. The outdoor concert near the Cable Mill will feature Senator Lamar Alexander on the grand piano during a portion of the 90-minute concert. There will also be special exhibits and programs highlighting the cultural history of Cades Cove. On June 14, there will be an open house at the Park Headquarters near Gatlinburg which will highlight park development, park management activities, park architecture, and the role of the Civilian Conservation Corps (CCC). Finally, on June 15, the Oconaluftee Visitor Center will be holding programs and exhibits that celebrate Smoky Mountain life from the Cherokee through the establishment of the park. There will also be a ground breaking ceremony that will symbolically initiate the construction of the new Oconaluftee Visitor Center. For more information on all of these events, please click here. Looking for an interesting and educational alternative for a vacation this year? You may want to check out the Black Bear Field Study Course offered by the Wildlife Research Institute. The black bear workshops are lead by Lynn Rogers, Ph.D., and are designed for anyone interested in bears. 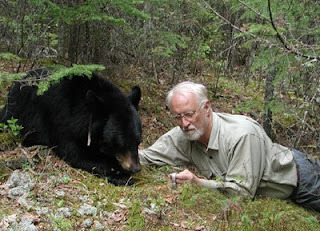 You may have seen Dr. Rogers on the Animal Planet documentary "The Man Who Walks With Bears." The courses are designed to teach you to safely learn vocalizations, body language, behavior, and ecology directly from wild bears in their wild habitat near Ely, Minnesota. The workshops also emphasize how people can better coexist with bears. Class sizes are kept small (8 people) to maximize individual opportunities to participate in close-up black bear research. There are also daily discussions and slide presentations to amplify the information learned directly from the bears. 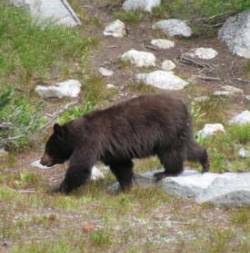 The Wildlife Research Institute offers eight black bear courses throughout the spring and summer; however, four of the workshops (all in August) are already closed. The cost is $1500. For anyone who is unfamiliar with Ely, MN, I can tell you from first hand experience that this area of the country is absolutely beautiful. Ely is within the Boundary Water Canoe Area, providing perhaps the finest canoeing experience in the country, as well as within close proximity to Minnesota’s beautiful North Coast region along Lake Superior. Want to be a Backpacker Mag Gear Tester? Backpacker Magazine is currently running a contest on their website for a handful of its readers to become official Gear Testers for the magazine. If you happen to be one of the lucky winners, you’ll be given regular testing assignments over the course of a 12-month period. In addition to testing gear, you'll also have the opportunity to try your hand at writing reviews for both the magazine and Backpacker.com. And, if you're good enough, you could graduate and become one of Backpacker's regular corps of elite (and paid!) gear testers. To register for the contest you'll need to send a short (200 word) sample gear review of your favorite piece of gear to Backpacker. Also, the magazine is requiring that you produce and post a YouTube video in order to introduce yourself and show why you would make the perfect Backpacker Magazine Gear Tester. Deadline for submission is March 30, 2009. For more information, please click here. On at least two separate occasions in recent months I’ve read in some hiking forum about a lack of loop trails in the Smoky Mountains. It’s possible that these individuals were referring to the lack of park designated loops. If that’s the case, then those people might have a point. However, there are many loop hikes that can be created by simply linking together multiple trails – in all areas of the park. Many day hikers prefer to hike loops because it gives them “more bang for their buck”, especially if your time is limited. In addition to seeing more terrain, you'll also have the opportunity to see more of the features the Smokies has to offer, such as wildflowers, waterfalls or historic home sites. Below is a list of 15 loop hike options of varying length, and in different areas of the park. There are many other loops that can be created for people wishing to hike more miles, or for people wishing to put together a backpacking trip (see the bottom of this post). This post includes three sections: loop hikes on the Tennessee side of the park, loop hikes on the North Caroline side of the park, and suggested areas for creating a variety of backpacking loops. Trail Features: Quiet walk in woods, old homestead sites and sporadic views of surrounding mountains. The Smokies also offer numerous backpacking opportunities, from short two-day trips, to several day treks. Please note, however, that the park now requires a permit and advance reservations for all backcountry camping. You should first visit the park website for more information on this process. Big Creek Trailhead: Depending on how many days, and how many miles, this trailhead offers multiple options that could include the Mt. Cammerer and Mt. Sterling fire towers, as well as the opportunity to follow along Big Creek. There are several campsites and backcountry shelters that could be used to link various segments together to form your trip. Various trips in this area could begin from Cosby, Big Creek or the Mt. Sterling Trailhead. Deep Creek Trailhead: With several backcountry campsites, this section of the park just north of Bryson City also offers a variety of loop options. Deep Creek itself is especially beautiful. In addition to loops beginning from the Deep Creek Trailhead, backpackers will also have the option of starting from the end of Lakeview Drive, or from the Cooper Creek Trailhead. Newfound Gap: From the top of Newfound Gap backpackers will have the opportunity to hike along the Appalachian Trail to Icewater Springs, or even Pecks Corner. A partial loop (lollipop) can be created by including the Dry Sluice Gap or Hughes Ridge trails. Tremont: This multi-day loop could include a hike up the Bote Mountain Trail to visit Spence Field and Rocky Top. After traversing eastbound along the Appalachian Trail, it would then return via the Greenbrier Ridge and Middle Prong trails. Backpackers could also begin a loop from Tremont that heads eastbound on the Lumber Ridge Trail, which could then be used to link up with the Jakes Creek Trail. From there, depending on how many days and how many miles you want to hike, you could head up to Buckeye Gap along the AT, or return directly back to Tremont via Panther Creek Trail. Cades Cove Visitor Center: This area of the park also offers numerous loop options, which could include Abrams Falls. This area has some of the lowest elevations in the park, and offers some of the easiest terrain. Gregory Bald: Also in the Cades Cove area is the Gregory Ridge Trailhead, which will offer loop options that head up to Gregory Bald, arguably one of the most scenic areas in the park. 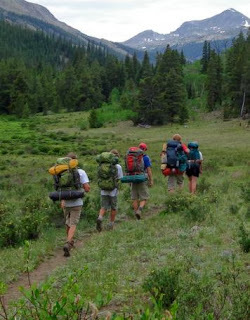 Using the Long Hungry Ridge Trail, Twentymile Loop Trail and the Wolf Ridge Trail, backpackers could create a lollipop loop as well. 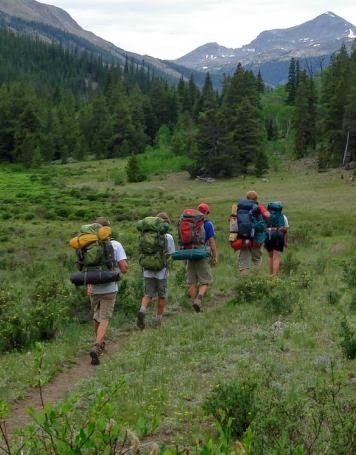 Backpackers can also link up with the Appalachian Trail and travel eastbound to the Spence Field / Rocky Top area. With two vehicles, or the use of a shuttle, you could create a one-way hike that includes some of the best scenery the Smokies has to offer. Backpackers will also have the option of hiking one of three long-distance trails that travel through Great Smoky Mountains National Park. This includes the Appalachian Trail, the Benton McKaye Trail, and the Mountains-to-Sea Trail. Even if you don't have two vehicles in your party you can still do a one-way hike, whether it's the entire trail, or just a portion, by using a hiker shuttle service. Finally, to help plan your trip, your best bet will be to have a detailed map, which will allow you to estimate mileage and the terrain (elevation) you can expect for any given route. For those that are hiking the Appalachian Trail, you may want to consider the new National Geographic Topographic Map Guides. These are light-weight, small book format maps printed on rugged waterproof, tear-resistant paper. In all, there are 13 sectional maps that cover the entire length of the A.T. The Springer Mountain to Davenport Gap section covers the Smokies. As a sure sign that spring in the Smokies is just around the corner, several of the seasonal roads in the Smokies will be opening again this weekend, provided, of course, that the region doesn’t experience any late winter snow storms. • Parson Branch Road - Buses, RVs and motor homes are prohibited on this one-way road out of Cades Cove. As a result of heavy rains in December, the Forge Creek Road has been closed for repairs. The road is scheduled to re-open sometime in mid-March according to the National Park website. I assume this will be ready for automobiles to access the Parson Branch Road. • Rich Mountain - Buses, RVs and motor homes are prohibited on this one-way road out of Cades Cove. • Roaring Fork Motor Nature Trail - Buses, RVs and motor homes are prohibited on this road outside of Gatlinburg. • Roundbottom/Straight Fork – near Cherokee, NC. Additionally, Clingmans Dome Road is scheduled to open on April 1 and the Balsam Mountain and Heintooga Ridge Roads are scheduled to open on May 8. In conjunction with the year-long celebration of the 75th anniversary of Great Smoky Mountains National Park, the East Tennessee Historical Society will be presenting Pennies for the Park Exhibit: The Grassroots Campaign to Establish the Great Smoky Mountains National Park. Through compelling artifacts, graphics, and audio-visual programs, the Pennies for the Park Exhibit will highlight how the efforts of regional civic leaders and businessmen, coupled with a growing, mobile middle class, led to the establishment of Great Smoky Mountains National Park. The exhibit opens up on April 20 and will be at the East Tennessee Historical Society through July 5, 2009. The East Tennessee History Center is located at 601 South Gay Street in Knoxville and is open Monday through Friday 9:00 AM to 4:00 PM; Saturday 10:00 AM to 4:00 PM; Sunday 1:00 PM to 5:00 PM. Admission is $5.00 for adults; $4 for seniors; and free for children under 16 and accompanied with an adult; ETHS members free. For more information visit www.east-tennessee-history.org/ or call 865-215-8830. Check out the new Kindle 2 from Amazon, the next generation wireless reading device. Kindle is a convenient, portable reading device that gives you the ability to wirelessly download books. Reading Kindle's screen is as sharp and natural as reading ink on paper and it’s completely mobile. The Kindle 2 holds over 1500 books, and with more than 230,000 books available for download, that kind of storage capacity will definitely come in handy. For more information, please click on the logo below. Check out this collection of photos from SummitPost. If you've never been to the "SP" website, you're definitely missing out. In addition to finding important information and details on hikes or climbing mountains around the world, the website has some outstanding personal adventure stories and some excellent photographs, all user submitted. Someone put together a "best of" collection of photos. On this collection of 17 photos you'll find several beautiful mountain panoramics and climbing photos. The most interesting photo, however, is the one of the disappearing rabbit. It may not be apparent as to what happened at first, but there's an explanaton at the bottom. Extremely cool shot. Enjoy! Click here to see the pix. I was made aware of this situation after reading Smoky Scout’s misadventure over the weekend. She found out the hard-way that the pick up location for the shuttle to Fontana Village has been re-located as a result of low water levels in Fontana Lake. Smoky Scout was forced to make an emergency bivouac in the Calhoun House as a result of the Park Service not posting any signs indicating a change in the shuttle pick up point. She made a call to the Park Service and has made them aware of the situation. They will be posting information on the park website and will make plans to post proper signage informing hikers of the change. According to Park Ranger George Minnigh, boat shuttles to and from Hazel Creek are from the Ollie Cove Trailhead when lake levels are low. The Ollie Cove Trail is a relatively new trail, and is not on any park maps at this point. If you’re planning on taking the shuttle to Fontana Village after hiking from a different trailhead, the Ollie Cove Trailhead can be reached by taking the Ollie Cove spur trail, located about 0.7 miles east of the junction of the Hazel Creek and Lakeshore Trails (opposite direction of Campsite 86 and the usual shuttle point). It’s a walk of about 0.3 mile down the Ollie Cove Trail to reach the shuttle pick up point. As Smoky Scout points out, it’s probably a good idea to call the shuttle service ahead of time and find out exactly where the pick up point will be for any given day. To get the full story of Smoky Scout’s unplanned, extended backpacking trip, you’ll need to read a series of three posts spanning from March 2 to March 4. Please click here. It’s that time of year again. Days are finally just beginning to get a little warmer, flowers are starting to pop-up in the lower elevations of the southern mountains, and Appalachian Trail thru-hikers are starting to pound their first steps out of Springer Mountain as they make their way towards Mount Katahdin in Maine. One such hiker, Time Outdoors, a 35-year-old civil engineer from North Carolina, began his trek on America’s first national scenic trail this week. After satisfying a craving for pancakes at the Amicalola Falls State Park Lodge on Monday morning, Time Outdoors made his way to Long Creek Falls for his first night out on the trail. Although he had to battle the leftovers from the snow and ice storm that hit the region over the weekend, warmer temperatures are expected for the next several days. Hiking the Appalachian Trail has always been a goal of his, something he thought he would do after retirement. However, with the current economic and job market conditions, he decided to strike out for the trail now. He stated on his blog that he wants to spend time improving his photography skills during his travels. He plans on taking several side trails to photograph waterfalls and wildflowers, especially in North Carolina, Tennessee, and Virginia. Based on the pictures he’s already posted on his website, you can tell he has a good photographic eye. He’ll keep the world informed of his progress by posting updates on his blog using his cell phone. You can follow his journey over at his blog: http://timeoutdoors.blogspot.com. Last summer, the National Park Service announced that it awarded the current operator of the LeConte Lodge a new 10-year contract. The most interesting aspect of the new contract is that, beginning this season, hikers will be able to purchase snacks, beverages and lunches at the Lodge. Up until the end of last season, only overnight guests were allowed to purchase meals at the lodge. Beginning on March 23, day hikers, backpackers and horseback riders will have a couple of options for purchasing a lunch at the lodge. Day hikers can have a sit-down lunch in the lodge dining room by making reservations at least 48 hours in advance. You can call 865-429-5704 to reserve a spot. Lunch will be served from 12:00 noon to 3:00 pm Eastern Time. The lunch menu for the dining room includes soup, chicken salad (cheese or peanut butter and jelly is also available), bagel, baked goods, hot chocolate, coffee and lemonade. Day hikers have the option of ordering a sack lunch to go, which will contain a bagel, cream cheese packet, beef summer sausage, applesauce, trail mix, cookies and a Gatorade drink packet. The sack lunch to go does not require a reservation. Both the sit-down lunch and the sack lunch will cost $9.00 each. Additionally, from 12:00 noon to 4:00 pm, the lodge will offer hikers hot chocolate, coffee and lemonade for $3.00 each, and assorted baked goods for $1.00 each. The rustic mountaintop lodge is perched at the 6,593-foot summit of Mount LeConte and is accessible only by trail. The contractor cooks on propane, uses oil lamps for light and packs supplies in and out by llama. As reported here last week, officials recently announced that the Great Smoky Mountains National Park has completed an Environmental Assessment on the potential impacts of constructing a new visitor center at Oconaluftee, and have issued a Finding of No Significant Impact (FONSI). This decision clears the way for construction of a new state-of-the art visitor center, which will be adjacent to the existing facility on Newfound Gap Road, roughly 2 miles inside the Park’s Cherokee, North Carolina Entrance. Some interesting new details about the construction of the new facility were released on the Park's website today. Dale Ditmanson, Great Smoky Mountains National Park Superintendent, is quoted in the press release, saying "The new Center is also being designed be as energy efficient and sustainable as we can make it. We are building it to be nationally certified as an environmentally friendly building under the LEED (Leadership in Energy and Environmental Design) rating system." Geothermal Heat and Cooling: The heating and cooling system will take advantage of the constant 55 degrees temperature of the earth, by pumping water into the ground through tubing where it will gain or give off heat, increasing the efficiency of the system. Passive Solar: The orientation of the building and the select placement of windows will allow plenty of sunshine into the building and also provide heat. Working with the Oak Ridge National Laboratory, the Park has taken solar measurements where windows are to be placed, to be sure they are sized correctly, to allow just the right amount of light, and offset the need for heat. Rain Water Cistern: A cistern will be used to collect rain water from the roofs. The water will be filtered and then used to flush toilets. Water Saving Fixtures: Bathroom fixtures will use waterless urinals and water saving faucets and toilets. Recycled Materials: Everything from roofing materials, to cabinets, siding, and structural supports will be made of recycled materials. Landscaping: Native plantings will be used that will not require extensive watering after they become established. The Smoky Mountains are home to more than 1600 species of flowering plants. During each month of the year, some forb, tree or vine is blooming in the Smokies. During the spring, wildflowers explode during the brief window just prior to trees leafing out and shading the forest floor (from about mid-April thru mid-May). During the early summer period (from about late-May to mid-July), awesome displays of mountain laurel, rhododendron, flame azalea, and other heath family shrub flowers can be enjoyed, especially on the higher elevation balds. Wet and humid climates, as well as a broad elevation range, are two of the most important reasons for the park’s renowned diversity. Although there are many parks that are larger, Great Smoky Mountains National Park has the greatest diversity of plants anywhere in North America. In fact, north of the tropics, only China has a greater diversity of plant life than the southern Appalachians. The Smoky Mountains contain over 300 rare species of plants, with as many as 125 on the protected plant lists of either North Carolina or Tennessee. Three plant species are protected by the Endangered Species Act, with 12 others currently under review for federal protection. Ace Gap – In late April, and into early May, look for yellow trillium, beard tongue, Solomon's seal, spiderwort, fire pink, hawkweed, pink lady slippers, Catesby’s trillium, yellow mandarin, rue anemone, wild geranium, little brown jugs, Robin's plantain and flame azalea. In May you can expect to find meadow parsnip, sweet shrub, four leaved milkweed, blackberry, mountain laurel and star grass. In late May and into June, look for fairy wand, false Solomon's seal, galax and Indian pink. Andrews Bald – Andrews Bald is a good hike to see Catawba rhododendron and flame azalea in June. You may also see small purple-fringed orchids during the summer months. Near the trailhead, we saw thymed leaved bluets during a hike last May. Bradley Fork Trail – During the early spring season, hepaticas, violets, and foam flower are found on this trail out of Smokemont. As the season progresses, umbrella leaf and Fraser’s sedge begin to bloom on the higher elevations of the trail. You can also find wood and rue anemone, Vasey’s trillium, beaked violets and crested dwarf iris in April and May. From April through July, look for wild strawberry, Robin’s plantain and Canadian violets. Chestnut Top - Spring beauties are usually the first to bloom on this trail in March. Throughout the spring, you can find white trillium, bloodroot, yellow trillium, hepaticas, violets, Jack-in-the-pulpit, bishop’s cap, purple phacelia, fire pink, plantain-leaved pussytoes, star chickweed and wild stonecrop. During the late spring and early summer period, look for hairy beard-tongue, rattlesnake hawkweed and squawroot. Many of these flowers can be found within the first couple hundred feet of the trailhead. Cove Hardwood Self-Guided Nature Trail– This three-quarter-mile loop trail begins in the Chimneys Picnic Area. Many people say that this is one of the best areas in the park for wildflowers, with the best time being in late April. However, as early as March you can begin to see hepaticas and trout-lilies. Through April and May look for yellow trillium, white fringed phacelia, squirrel corn, wild ginger, white trillium and Dutchman’s britches. Solomon’s seal arrives in May and lasts through June. Cosby Nature Trail – Located in the Cosby Campground, this one mile trail passes through several forest types, providing for a variety of wildflowers. Peak months for wildflowers are March and April. Look for Vasey’s trillium, squirrel corn, Dutchman’s britches, brook lettuce and squawroot. Bleeding heart, showy orchis and Vasey's trillium show-up in April and May. Deep Creek – Wildflowers are abundant along this trail just outside of Bryson City. You’ll find a variety of trilliums blooming at different times, as well as foamflower, galax, crested dwarf iris, beard tongue, Solomon's seal, cinquefoil, bloodroot, bluets and blue-eyed grass. Jack-in-the-pulpit is also abundant, but is sometimes hard to locate among the wild geranium, clinton's lily and large houstonia. As the trail rises in elevation along the Sunkota Ridge and Indian Creek Trails, you’ll notice rhododendron, mountain laurel and flame azalea. Gregory Bald - Azalea lovers from all over the world come here to visit perhaps the finest display of flame azaleas anywhere on the planet. According to the Great Smoky Mountains Natural History Association, the various hybrids of azaleas on Gregory Bald are so impressive and unique that the British Museum of Natural History has collected samples of them. This place is truly special. In fact, I would go so far as to say that this should be on the life list of any self-respecting hiker, gardener, or nature lover. The best time to visit is usually around mid-to-late June. Husky Gap –Along the early portions of the Little River Trail we passed several patches of rhododendron during a hike in early May. As we proceeded up river we noticed yellow trillium, dwarf cinquefoil and stonecrop. Roughly half-way between the Little River Trail and Husky Gap we ran into a riot of flowers: yellow, white and painted trillium, blue phlox, hepaticas and violets. There were a couple of hillsides throughout this section of trail that were literally covered in wildflowers. This is a great trail to hike in April and May if your goal is to spot wildflowers. Kanati Fork – Expect to see early yellow violet as early as March on this trail. By April, you’ll begin to see cut-leaved toothwort, dwarf cinquefoil, large-flowered bellwort, white baneberry, Canadian violets, Vasey’s trillium, painted trillium, wake robin, Solomon’s seal, Northern white violets and brook lettuce. Most of these flowers will last well into May, but the best time to visit is in late April. Little River Trail – This trail is best hiked between mid-March and April, if you’re goal is viewing wildflowers. During the early spring you can expect to see spring beauties and trailing arbutus. As the season progresses, look for hepaticas, yellow trillium, dwarf cinquefoil, stonecrop, Canadian violets and umbrella leaf. You may also see mountain mint, orange and pale jewelweed as early as June here as well. Porters Creek Trail – This trail is well known for its spectacular wildflower displays from late March through April. We hiked this trail in late March and were treated to a forest floor carpeted with bloodroot, hepaticas, white fringed phacelia, violets and white trillium. As the season progresses into April and May, you can find yellow trillium, toothwort, wild geranium, May-apple, dwarf ginseng, blue phlox, baneberry, foam flower, halberd-leaved violets, woodland bluets and Jack-in-the-pulpits. Oconaluftee – Late April is the best time for viewing wildflowers along the Oconaluftee River Trail. More than 40 species of wildflowers have been identified along the trail, making it an especially worthwhile walk in spring and fall. During the spring, hikers can find several varieties of trillium and violets, jack-in-the-pulpit, squirrel corn, stonecrop and May apple. Rich Mountain Loop - This trail had the most diverse amount of wildflowers we’ve seen in one hike. During our mid-May hike we saw mountain laurel, flame azalea, purple phacelia, rattlesnake hawkweed, yellow ragwort, violets, sweet shrub, wild geranium, blackberry, fourleaf milkweed, everlasting pea and butterfly weed. Schoolhouse Gap - The Schoolhouse Gap Trail is another excellent trail for spring wildflowers. We saw many Virginia bluebells on the lower portion of the trail. As we proceeded on, we saw beaked violets, pink lady’s slippers, fairy wand, golden aster, star grass, red clover, Robin’s plantain, sun drops, Catesby’s trillium and lyre-leaf sage. The trail also had its share of rhododendron and mountain laurel, which were just beginning to bloom during our mid-May hike. Hikers can also find cardinal flower, Carolina vetch and yellow ragwort on this trail. Spence Field – Spence Field has the most spectacular display of mountain laurel I’ve ever seen. The hillsides and meadows were literally covered in the white and soft pink flowers from this member of the heath family. The best time to visit Spence Field is from late May to mid June.